Elegantly framed with a copy of the US Declaration of Independence. A stunning set documenting the creation of the world's most powerful countries. 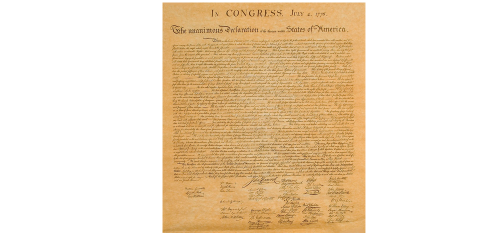 On 4 July 1776 13 North American colonies declared themselves independent from Britain, and the United States was born. 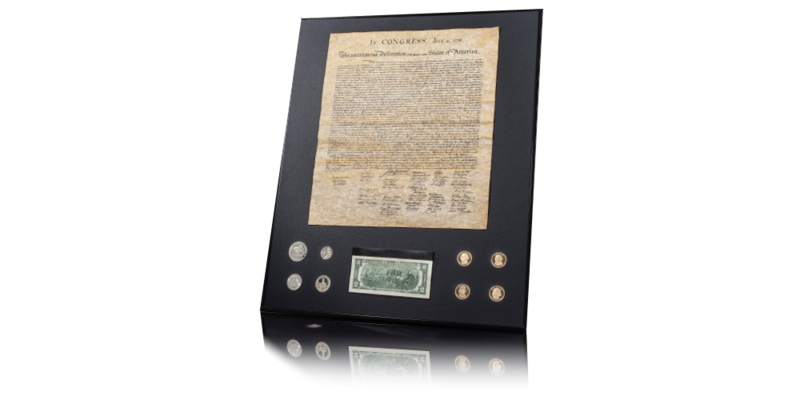 The set includes eight US coins and one two-dollar banknote, elegantly framed with a copy of the US Declaration of Independence. 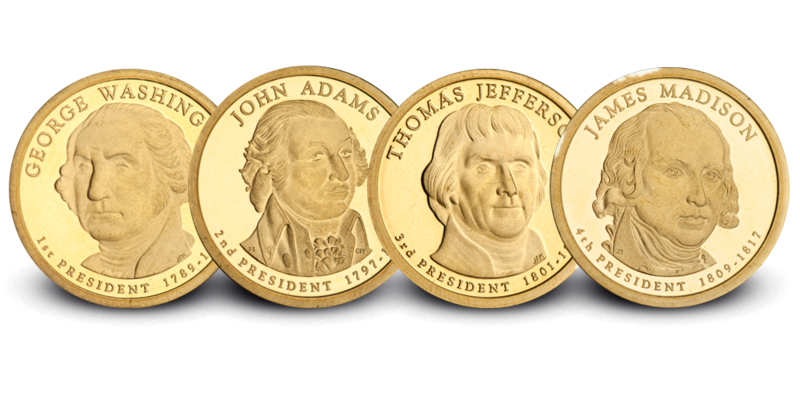 Five of the coins contains a portrait of the most famous of America's founding fathers: Benjamin Franklin, John Adams, George Washington, Thomas Jefferson and James Madison. 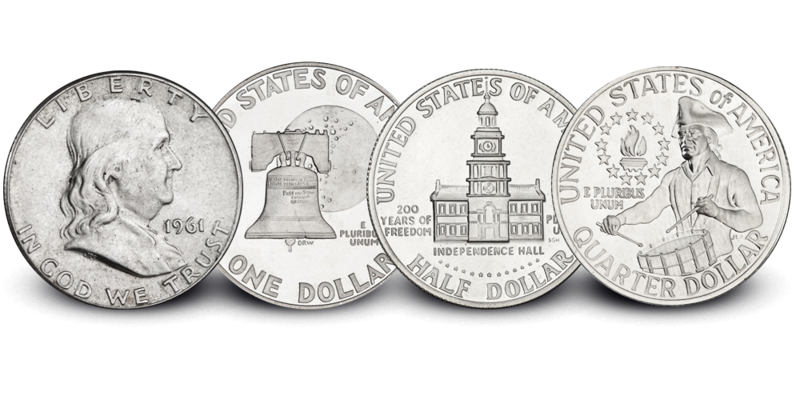 The remaining three of the coins were struck to commemorate the 200th anniversary of Independence in 1976. 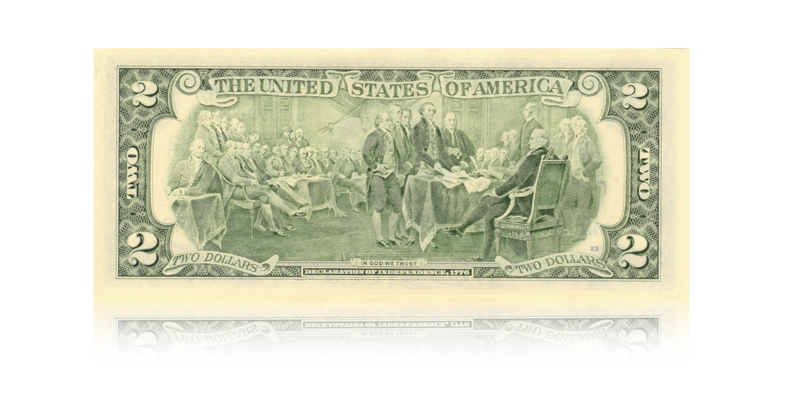 They feature Dwight D. Eisenhower, John F. Kennedy and George Washington. 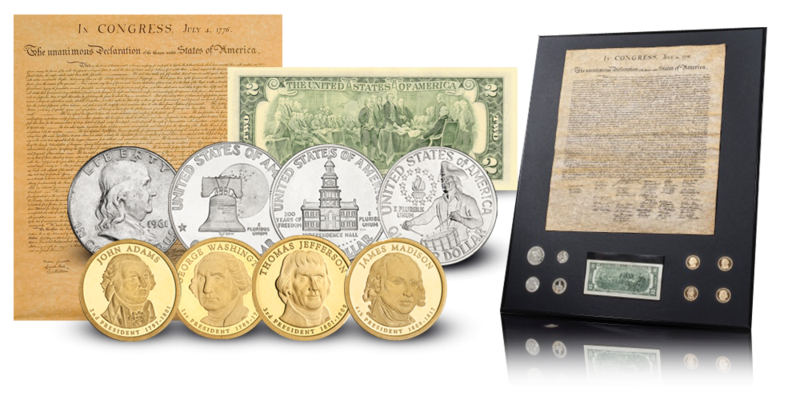 These three coins replaced the regular circulating coins for two years and carried the dates "1776-1976"
The American's two-dollar note was also released on the occasion of the 200th anniversary, and has the design of monumental painting "Declaration of Independence " .The painting shows more of US land fathers, which presents the draft Declaration of Independence in 1776. The frame measures 51x61 cm.